Does Trump’s Infrastructure Plan Include South Florida? It just might. 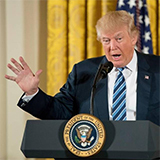 A first look at a list infrastructure projects compiled by President Donald Trump’s team has begun to hint at what projects might receive funding during the Trump administration, according to the Miami Herald. Meet State Representative George Moraitis Jr. at Our Upcoming First Friday Luncheon sponsored by Diligent Services. 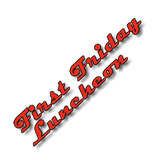 The South Florida AGC First Friday Luncheon will be held on Feb. 3 from 12 p.m. to 3 p.m. at Boatyard on 1555 S.E. 17 St., Ft. Lauderdale, Fla., 33316. Representative George Moraitis, Jr., of Florida’s 93rd district, is featured as the invited guest. The $4 Billion American Dream Mall passes its first hurdle. What’s next? 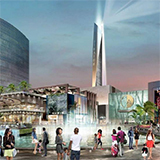 The American Dream Miami, the largest mall and amusement park in North America, has been granted preliminary approval by the Miami-Dade County Commission. The park would be located on a 194.5-acre site with 6.2 million of commercial space and 2,000 hotel rooms, according to the South Florida Business Journal. Transit Oriented Development, is it worth the additional costs? 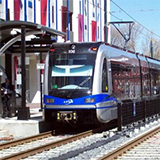 The National Real Estate Investor looks at the pros and cons of developing near mass transit stations. While developers will pay a higher price, these spaces are also yielding a higher return as renters are willing to pay more to live near transit stops. South Florida AGC Members make great things happen! Great job by Coastal Construction and Supermix! 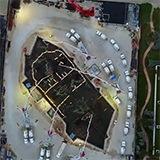 With the help of over 1,400 concrete trucks and 13,200 cubic yards of concrete, the foundation has been poured for the Residences by Armani/Casa in Sunny Isles Beach, according to Curbed Miami. The project is expected to be completed in 2019.